The adorable "America, Land That I Love!" 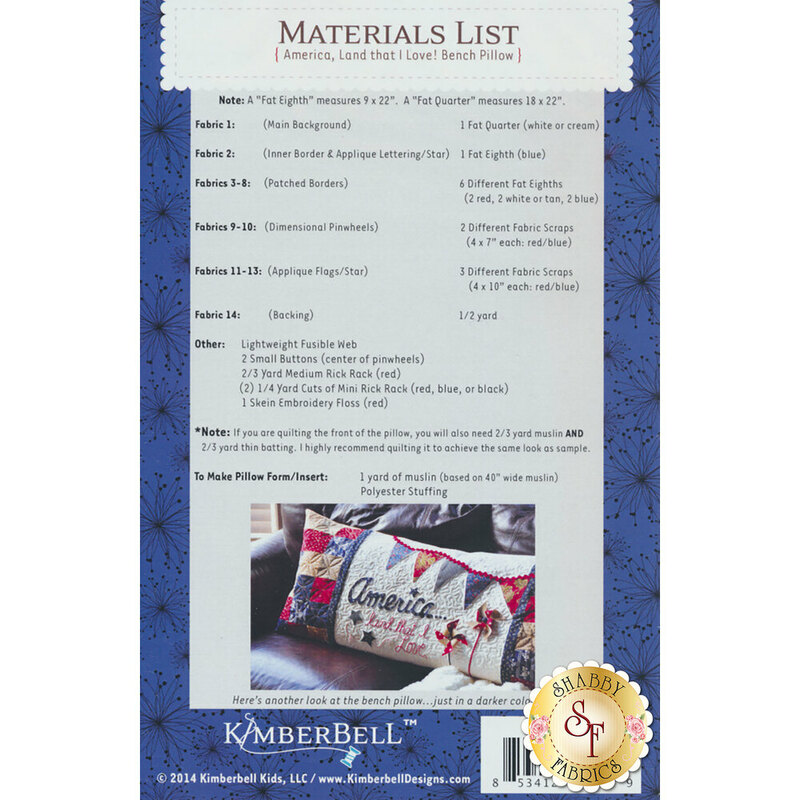 interchangeable pillow cover by Kimberbell Designs is perfect for July! 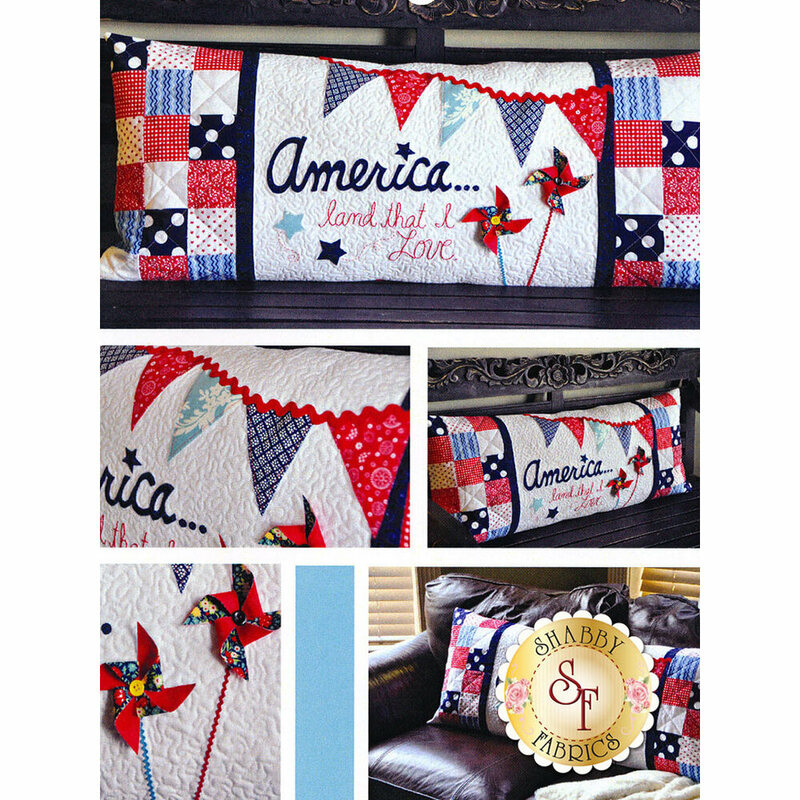 Instructions for making the pillow form, as well as the "America, Land That I Love!" Cover are included in this pattern. Finished size is approximately 16" x 38".